This is another informative video presented by the Learning Technology. 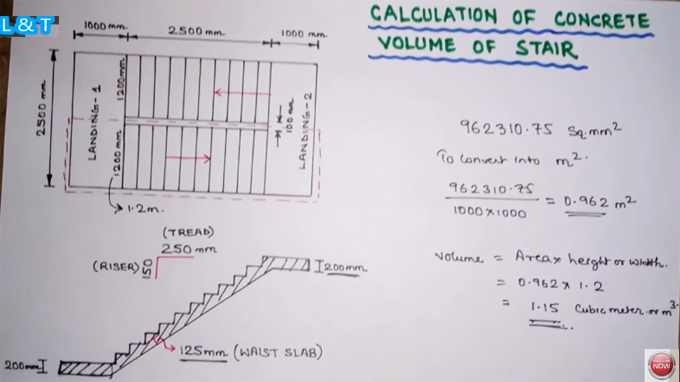 One will be familiar with the detailed process for estimating the concrete volume quantity of staircase. The process is very complicated to find out the concrete volume for a staircase. But it can be done easily if you use AutoCAD. Here the staircase has two landings like landing 1 and landing 2. Both the landings are 1 meter x 25 meter.